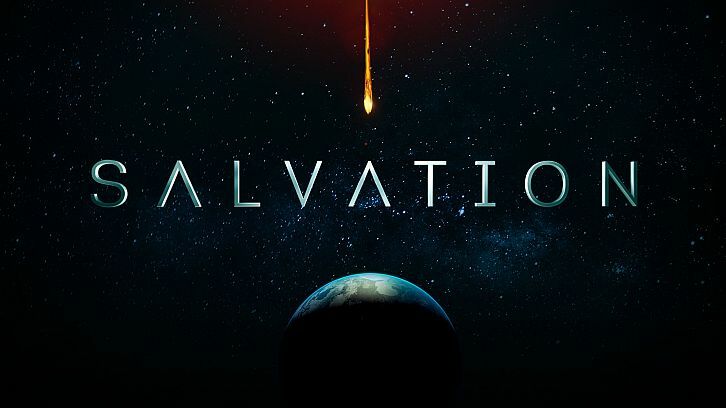 It's no secret by now that the cast of CBS' sci-fi action series, Salvation, are on the top of their games in the show's sophomore season. However, they aren't the only ones. As good as the cast is, they couldn't do what they're doing so well without the elaborate playground the show's writers have crafted for them. The third episode of the season, Crimes & Punishment, again masterfully builds on the previous episodes, never quite losing sight of that asteroid hovering out there; they've managed to create taut, carefully woven political intrigue and multi-layered characters that keep viewers on the edge of their seats each week as they navigate the sea of secrets and lies under which they are all operating. They've added subtle nuances to Santiago Cabrera's Darius Tanz. Making him the Vice-President was a stroke of genius. It's like watching him grow up before our eyes. The eccentric, billionaire inventor still gets to use his creative side by crafting a miniature, dragonfly drone to communicate with Liam (Charlie Rowe) who is trapped inside Tanz Industries. His growth and maturity allow him to be willing to sacrifice his most prized possession, T.E.S.S. in order to wrest control of the nukes now under Resyst's command. There's a certain amount of irony too, that in this episode, he is the voice of reason advocating following the rule of law when Monroe Bennett (Sasha Roiz) brands President McKenzie's (Tovah Feldshuh) administration as terrorists and declares himself the true President. Bennett's move is to challenge McKenzie in the Supreme court, and it's Darius who advocates a peaceful, reasoned approach. 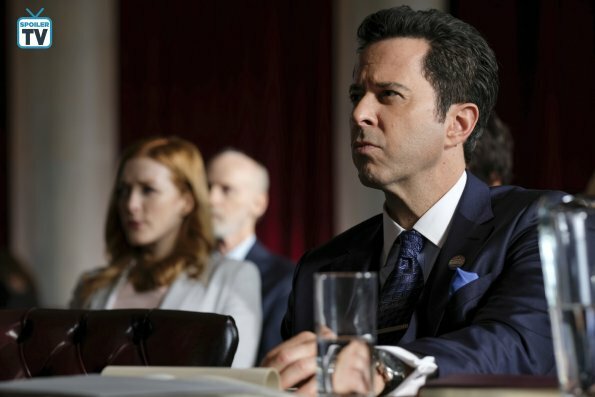 Also, Darius is perhaps closest to McKenzie to recognize that Bennett's use of social media to stir the people is a far more dangerous weapon than the troops Harris (Ian Anthony Dale) wants to call out to restore order. Of course, part of this is pure Darius, desperate to find the quickest solution. However, part of his desperation is borne out of the secret he is hiding, that his illness is progressively getting worse. Harris Edwards is and always has been the take action arm of the core Salvation trio. Ian Anthony Dale is giving Harris that perfect balance of heroic stoicism and action-hero edge. So, it comes as no surprise that he encourages the President to call out the troops to arrest Bennett on the steps of the Supreme Court. It frustrates him because he is unable to control the situation to restore peace, so they can get about the business of saving the world from the asteroid. But, is Harris' decision-making being compromised by his secret? Why is he still seeing Fiona (Taylor Cole), his bartender/scientist one-night stand? And just how much influence does she have over him? 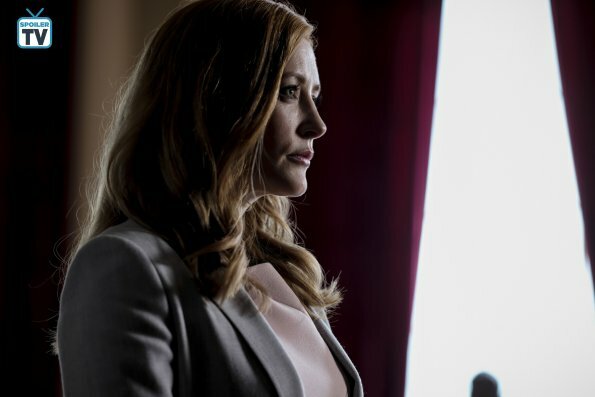 If there is one character this season that the writers have gifted most, it's Jennifer Finnigan's Grace Barrows. The writers have clearly given Grace the meatiest material and storyline this season, balancing Grace's dedication to her work and challenging her moral sense of right and wrong. She carries the biggest secret of all, that she killed Claire Rayburn (Erica Luttrell) to protect Harris. And in this episode the weight of keeping that secret and the fact she may be compelled to lie under oath at the Supreme Court to preserve President McKenzie's administration has begun to weigh upon her conscience more than ever. She's not certain she can lie under oath. Thankfully to a very exacting piece of writing, Grace testifies with her dignity intact when Chief Justice Cheng (Hiro Kanagawa) asks her if she knows the current whereabouts of Claire Rayburn. Grace truthfully answer that she does not and for the moment she has dodged the moral time bomb that plagued her the entire episode, even driving her to drink. The public Grace we see is calm, cool, and in control. However, in private, we see a woman fraying at the edges, slowly losing her grasp on her sanity. And then you have the additional pressure put upon Grace by Detective Carter (Ashley Thomas) who continues to investigate his sister, Claire's disappearance. Finnigan has been the heart and soul of Salvation since the series began but this season she is on fire with this complex storyline. The writers have given her the threads and she is spinning gold with them. Her nightmare ghostly dance with Claire in the parking garage is a standout scene from this episode. From her expressive face and subtle body movements, she masterfully tells us that Grace is barely hanging on. It was fun this week watching her work opposite her real-life husband, Jonathan Silverman, who is playing the irritating White House Counsel Roland Cavanaugh. He's abrupt and abrasive but Silverman gives his character just enough of an edge and begruding compassion to make him oddly likeable. Their brief scenes together, as Cavanaugh prepares Grace and Harris for their Supreme Court testimony, crackle with energy. Silverman is signed on for a few more episodes so we will enjoy getting to see them work together in future episodes. Just when you think you know where the writers are going with Salvation's story they throw in more and more curves. It seems everyone around is living with secrets and lies. 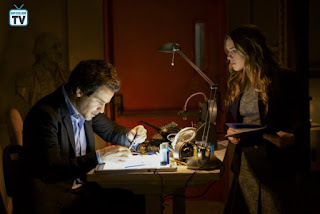 Alycia (Melia Kreiling), the Greek scientist that seems to be stroking Liam's ego at Tanz, to the point she prevents him from blowing up T.E.S.S., turns out to be a Resyst plant among the scientists. Jillian (Jacqueline Byers) discovers that the man killed in the bunker turns out to have had an unusual implant in his body. The implant oddly bears the same marking as one Detective Alonzo Carter finds on a flash drive hidden among his sister's belongings. But it seems that the good detective has a secret too when he doesn't take the flash drive to his department, but instead reports to the wanna-be president Monroe Bennett. The discovery at the end of the show which threatens to unravel everyone's secrets and serves as the biggest threat to Grace. A body is found by the river and brought to the morgue, a body that looks remarkably like the missing Claire Rayburn. How will the writers get Grace out of this once all the secrets are revealed? I have a theory but want to wait and see how close I come to outguessing these talented writers. How do you think Chief Justice Cheng was going to vote before his clerk blew him and herself up to protect her family being held hostage? How many more twists and turns do you think the writers have in store before everyone's secrets are revealed? Share your thoughts on these questions and the latest episode of Salvation in the comments below.